How Blogging can increase your sales By 500% as a small business owner? Do you have a business online? If yes, then of course you want to have more sales and generate more from this business. 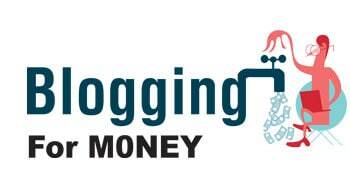 Having a blog will enable you to get more sales and most importantly…more money. But How? And Why? That’s what this post is all about, so continue reading. Here’s why you can benefit from WordPress for Joomla for a blogging tool as a small business owner to get more sales. Using a blog and writing high-quality content will net you a bunch of traffic. Most of the time, you can attract 55% more. Sometimes, you can attract more than 80% visitors to your site. Having all this traffic–even a small percentage–will convert into sales. You will get more sales, which means more money. No one will directly link to your product itself, because not everyone has tried it, and they don’t want to push people to buy it. Also, pro bloggers want to give value for their readers. That’s why they can’t link to your product directly. If you have a blog, and you share high-quality posts that can be related to your products, a lot of people will link to your blog. When big blogs in your industry link to you, this will help generate traffic. And not only will they get you a lot of traffic, they will enhance your authority and prove your blog’s credibility. Which brings us to number 3. When you have high-quality content and you draw traffic to it, a lot of people will think of your brand as if it’s a trusted brand. They can go and give your products a try. And all of this comes because you write high-quality posts on your blog! Having high quality-posts shared on all the networks and linked will get Google to index your site for high-quality keywords. This will help increase the traffic to your site. The best thing about Google’s traffic is that it’s also high-quality. People who find your blog through Google will of course have a specific problem. Your product solves that problem. This will result in more sales. Not only will you get traffic, you’ll get high-quality traffic that results in more conversions and more money, of course. Install WordPress for Joomla for your blog in your Joomla site. It’s the software recommended by many top bloggers, and its usability is incredible. Choose the best theme for your blog, or design a great one that can suit your brand and prove your credibility. Install the perfect plugins that can make your blogging career easier. Build relationships with top bloggers. Repeat steps 5 to 8, again and again. And like I said before, you don’t need to do all of this stuff yourself. You can hire companies like ‘corePHP’ to install your blog and keep it going. Or, you can hire a designer like Rafal Tomal or James Chartrand to design your blog. Yes, it may cost you some time, but I think it’s worth it. You can hire talented freelance writers to write content for you. There are many on the Internet, so you don’t have to waste a lot of time to find the perfect one. You can hire them to write posts for your blog or as guest posts. You can make it under your name (ghostwriting) or you can give them a simple 2-sentence blurb at the end of the post. Remember, you are building a business. That’s why you should care a lot about having high-quality authors write for you, having great designers to design your blog, and so on. Everything you need to do on your blog must be of high quality. That gets you more sales and the benefits of blogging, instead of ruining your reputation. Last words: By now, after you’ve read the posts, you are excited to create your blog, start writing content, and promote the heck out of it. Also, you now have a step-by-step guide to help you start blogging today. What frustrates you most in this post, so that I can create more content on this blog to help you? Just leave your comment, and I will do my best to respond to each one. This entry was posted in 'corePHP' Products and tagged blogging, wordpress on April 29, 2013 by The Core Team.